If the prospect of yet another vacation to the same old resort town has you feeling less than excited, Maldives and Seychelles may just be in the books for you. Fast becoming some of the most sought after vacation destinations by tourists and travelers from all over the world, Maldives and Seychelles are ideal destinations for taking in a wide and varied away of water activities. There are a lot more to both places than swimming or scuba diving however, making the choice between the two a bit more difficult. Check out this comparison and find out which one seems more to your fancy! Visas into Maldives are very easy to obtain, and all that is required for a 30-day visa are travel documents including a departure ticket and sufficient funds for the duration of your stay. You could get around the islands easily enough via boat, seaplane or private yachts. Seychelles has even less stringent visa requirements, with only a 6-month valid passport and proof of accommodation required. Getting around the various islands can be done via plane, helicopter and charter flights. 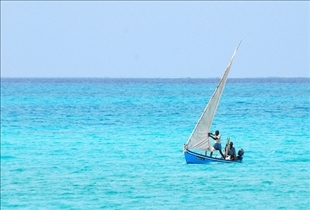 There is also a catamaran service that departs two or three times everyday on one hour trips. You may also find it helpful to get access to a car. For many people, a trip to Maldives means only one thing- scuba diving! With dozens of impressive coral reefs ringing the islands, you have a clear and unsullied vantage point to some of the most varied and abundant underwater life in the world. 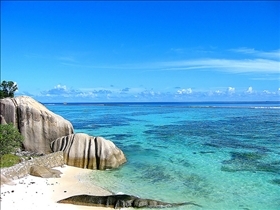 Seychelles is also all about the beaches all of which never get crowded, with some even bearing no trace of human presence at all. Out in the water, yachts, powerboats, catamarans and sailboats make for water activities ideally enjoyed around May and October. Getting a meal at Maldives is relatively easy, since all the resorts will have one or more restaurants. Many of these feature European cuisine, and there are Asian restaurants as well. In most places, breakfast is included in the daily rates. In the culinary department, Seychelles offers a rich and varied cuisine that is the sum total of the islands' various cultural influences. Seafood is of course a perennial favorite, and you can expect many of the dishes to feature coconuts and curry as the main ingredients. Which island chain is more pleasant? India vs. Hindustan vs. Bharat: What's in the name?